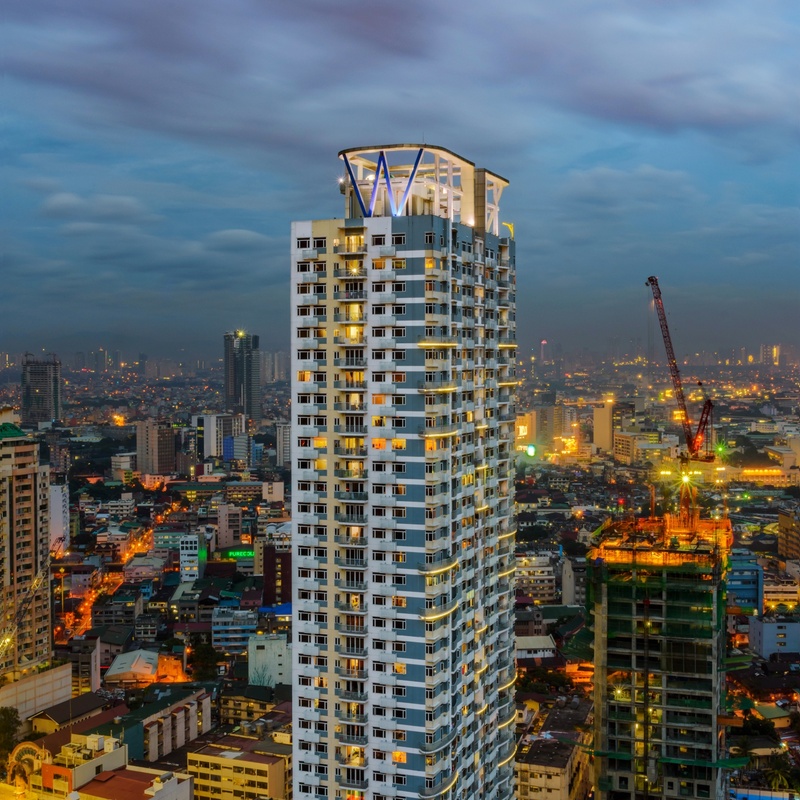 This 40-level building stands at the heart of Binondo, a known and established business district in Metro Manila, which offers wide array of businesses, ranging from small accessories to gadgets of different sorts. 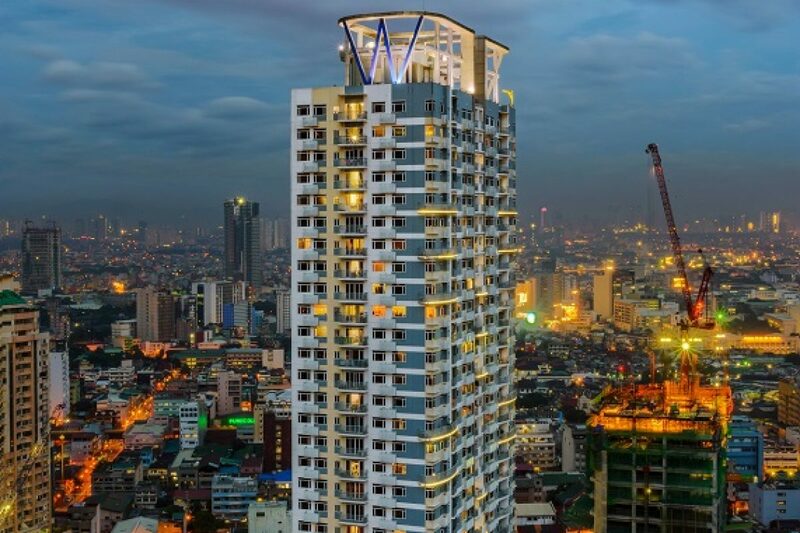 The development is exactly located at La Torre St. corner of Masangkay St. in Binondo, having great access to views of Manila Bay, Manila Skyline, Rizal Park, Intramuros and whole vicinity of China Town. This development has a towering height of 150.75 meters covering 715.08 square meters of its 1,152.60 square meter lot area and maintaining about 40% of the total lot area for landscape to induce green spaces to the development. The building is designed to orient with a slight tilt against east-west axis to prevent direct approach of the sun into the building, leading to a lowered energy consumption needed for cooling. A controlled and proportioned application of building fenestration allows the building to breathe with the environment by allowing air and daylight to penetrate inside building spaces. The balconies protruding on building façade and gliding around the corners cleverly contribute to well shaded areas of the building and also, add grace to the design. Users are able to enjoy the outdoors with shaded corridors and allow them to have a direct access to views available to varied units. Moreover, the amenities level or the podium is simply played with clean white lines running across the building façade, which provide privacy and security to the Parksuitescommunity enjoying the breeze at the amenity level, as these structural tubes allow air and significant amount of sunlight into the Parksuites’ court. This court is also vegetated with locally grown plants and designed with paths and ground cover with solar reflectance value of 29 to reduce factors contributing to heat island effect. ASYA has been always involved in greening every development that it is offered to design. The company integrates concerns of the developer, contractor, users, the general public and the environment to develop a harmonious building. ASYA does not only design space but living space.